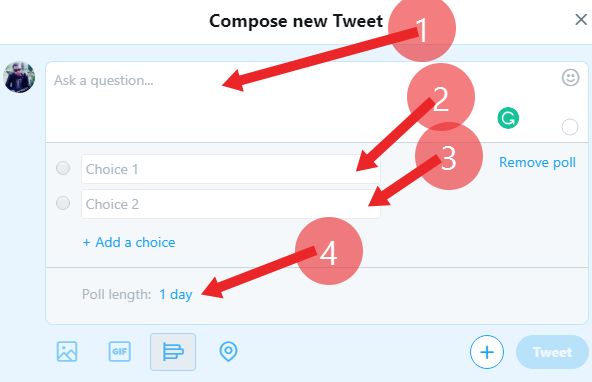 How to Create a Twitter Poll: Hello, friends, you may know, Twitter is a social site that is popular like Facebook and Instagram. Full information about. Twitter is a social platform that is very popular all over the world. Most content on Twitter is shared in text format. This social site is used more by celebrities. This is why Twitter is so popular. 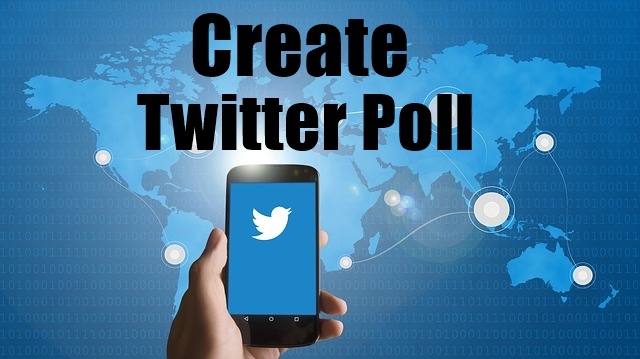 The goal of making a poll on Twitter is to get people's opinion or survey on a topic. Polls are widely used in election time or the environment. It is tried to take people's feedback through this. For many companies, review or marketing of your product, first, open Twitter applications in your mobile and from where you tweet or just tap on the icon poll. It shows people's demand and public views. Step 1: - First of all, open Twitter application in your mobile and click on where it tweeted i.e. Tap the Plus icon. According to the arrows shown in the photo, click on the option. Step 2: - After doing step 1 you will have a window open according to the screenshot given below. Write down the name in the second option i.e. choice 1 below. For example - Smartphones. Write the second name in the 3rd option ie choice 2. For example - laptops. Below this, you set the time duration of the speech in the poll length, how long you want it to run, such as one day. Now click on the Tweet option given on the upper right side. Your poll will now be live as shown in the screenshot below for example. 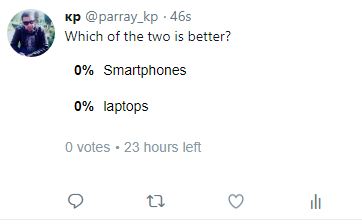 Now, the number of followers you have on your Twitter will reach your made poll and after the completion of the pole, you will also have a result of it. Now you must have understood how easy it is to make a poll on Twitter and anyone can make it. Hope you guys liked this post, about how to make a pole on Twitter. This information is very basic level, however, if you have any questions related to it then definitely ask in the comment box.